Freesias flowers have the sweetest fragrance of any plant grown indoors… and the basic requirement for success with freesias is a sunny window in a cool room. FREE-zi-as grow from bulbs which should be planted during August or earliest September. They have graceful iris-like foliage, are members of the iris family and native to South Africa. The plants grow 15 to 24 inches tall. Some varieties are erect, others may need a small trellis in their pot. Six or eight bulbs may be planted in a five inch pot. In such a grouping the plants help to support each other. They thrive in a rich, sandy soil. A soil mixture composed of equal parts good garden loam, clean, sharp sand, peat moss and compost will grow robust plants. A tablespoon of steamed bone meal added to each five inch pot will help to keep the plants in good condition through the blooming season. Freesias planted in August begin to bloom before Christmas, and they will continue until March or early April. Bi-weekly feedings of fish emulsion, or other house plant fertilizer will keep them in flowering condition. They must be kept cool and moist while growing that is, the air about them must be humid and cool. A night temperature of 50 suits them perfectly, with a daytime rise of not more than 15 degrees. Keep them regularly watered and growing at all times. By mid-April buds will cease to appear, and the foliage will begin to yellow and wither. The bulbs may be stored right in the same pot of soil, or they may be shaken out and stored in a mesh bag in a cool place. Save all of the bulbs, for even the small ones will bloom the next season. They multiply rapidly from these offsets. Freesia bulbs are most often sold in a mixture of pastel colors. The sprays of perfumed flower trumpets come in all shades of yellow, primrose, gold, orange, lavender, mauve, blue, white, soft pink, carmine, and rare tones that remind one of a sunset. In the window garden, at least three pots of them should be planted at intervals of ten or 12 days. A single bloom permeates the living room with its delicate perfume, but it is so faint as to make one wish for more blossoms to smell… it is never a cheap odor. If you have a greenhouse, you should plant at least two flats of freesias. Their pastel colors complement almost anything you may have in bloom… and they commence blooming in mid-December and flower right through the dead of winter when many greenhouses are void of color and fragrance. Freesias are easy to grow from seeds. The flower colors are varied, and the largest of the lot may flower the first year from seeds started in May and June. References disagree about how long it takes them to produce blooms from seeds. One catalog says “they produce profuse bloom in 6 months.” Another book says “freesias will mature and bloom in 3-1/2 to 4 years from seeds.” In my own experience, the seeds were planted in September and grown through that season. They were rested from May until early August when they were repotted and started into growth. They bloomed well that winter when they were 18 months old. Fill the container for starting seeds half full of loam. The balance may be filled with screened and moistened leaf mold, vermiculite, or screened sphagnum moss. Level this mixture but do not pack it down. Make furrows 1/4 inch deep and sow the seeds at least a 1/2 inch apart. Cover them lightly and keep the mixture moist at all times. Germination will occur in from 25 to 30 days. For success use a clean soil that is moist but not wet. Moisture should be uniform; do not let your seed tray dry out while seeds are germinating. Supply good ventilation a mild air circulation immediately after germination, but not a windy spot. Once up, freesia seedlings develop fast. When they are two inches high, begin to apply bi-weekly feedings of liquid food of house plant fertilizer. The seeds may be sown almost any time of the year. 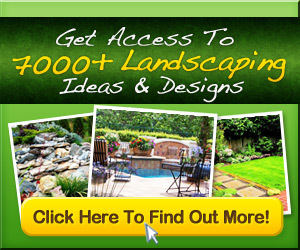 It is now possible to obtain freesia bulbs in the spring for growing outdoors. They may be planted toward the end of April about two inches deep and two inches apart in a well drained, good loamy soil. Give them a place where they will have plenty of sun until noon. They will flower from mid-July until late summer. The bulbs are not hardy. Dig and store them for the winter as you would handle gladiolus care. There are three other bulbous plants which can be grown in the cool window garden or greenhouse that have the same cultural requirements as freesias. 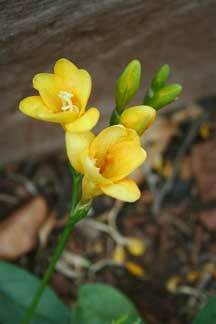 They are the related Babiana, the Lachenalia (a lily) and the Ixia.